Click Here to request a Garden Sense consultation, or call 707 565 3026.
is a free program offered by the UC Master Gardener Program of Sonoma County. Our friendly Garden Sense consultants have advanced training in water management, irrigation systems, site assessment, low-water use plants, and sustainable garden practices. We can show you how to easily conserve water (and save money) by creating a climate-appropriate garden that is healthy, environmentally sound, and most of all – beautiful! 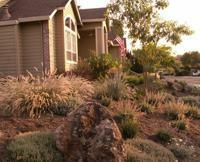 that a low water-use garden in Sonoma County uses, on average, a third of the water that a lawn requires? A 1,000 square foot water-wise garden uses only 5,000 to 10,000 gallons of water per year, while a same-size lawn uses more than 22,000 gallons per year. Russian River Drought Relief Program: Sonoma County Water Agency has just created a new incentive programs for eligible well users in the Russian River watershed. This program is intended to help those who are on a private well save water during this historic drought. 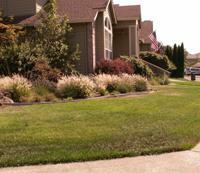 The Turf Replacement Rebate Program is a rebate of $0.50/sq ft up to $250 for turf converted to low water use plants. A pre-inspection is required. This program is grant funded and time limited. See if you’re eligible at www.SonomaCountyWater.org/Drought.